← Special Event Preview: Autumn Splendor – Tomorrow + Saturday!! This is such a hot item, I had to share it. I love this idea – taking an old, traditional chair and reupholstering it with a chic yet “wow” fabric. This will brighten any room! This gem of an idea comes via decor4all – a very cool online decorating resource. 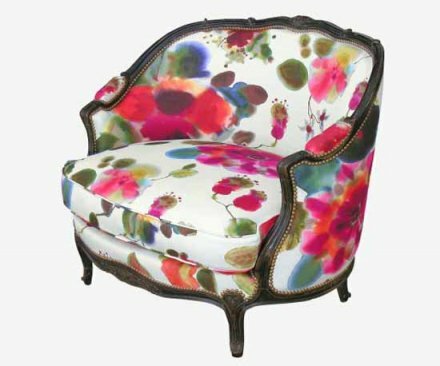 This entry was posted in Cool Idea and tagged chair makeover, chic upholstered chair, chic upholstery, cool chair, cool upholstered chair, decor4all, decor4all website, floral upholstery. Bookmark the permalink.